The Manbij conflict between Turkey and the US is about to enter a new phase. It is almost the textbook example of a disagreement that shows how two NATO allies may have conflicting views on almost every aspect of a dispute. In August 2016, Turkey launched a military operation dubbed “Euphrates Shield” to oust from northern Syria both Daesh and Syrian Kurdish terrorist groups that threatened Turkey’s security. The US proposed to Turkey that it would cooperate with the Syrian Democratic Forces (SDF) in its efforts to do the same job. Ankara said it may cooperate if the US expelled Kurdish fighters of the People’s Protection Units (YPG) from the SDF. The US did not accept this and the SDF seized Manbij with massive US support. Estimates vary on the number of YPG casualties, but it is definitely in the hundreds. Therefore, the YPG does not want to hand over control of a town that cost so many casualties to take. 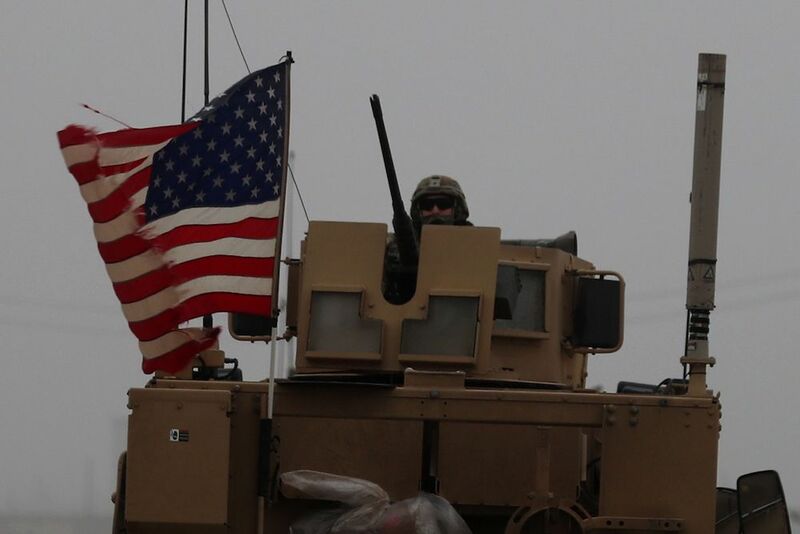 Turkey has always been opposed to SDF fighters crossing to the west of the Euphrates, where Manbij is located, and asked the US to prevent them from doing so. Initially, the US promised Turkey that it would do so. At one stage, then-Secretary of State John Kerry informed his Turkish counterpart Mevlut Cavusoglu that the YPG had, in fact, started withdrawing to the east of the Euphrates. This news was confirmed the same day by a spokesman for the US-led anti-Daesh “Operation Inherent Resolve.” But these statements and promises never materialized. The bargaining between Turkey and the US is still going on. It took months to determine how the YPG fighters would be expelled from the town. A detailed road map was drawn up by the military and civilian experts of both sides, providing that Turkish soldiers would start patrolling the northern outskirts of the town. This would be followed by US patrols. In the second stage, Turkish and American soldiers would be patrolling jointly. Ultimately, the two countries would also jointly patrol in the downtown area and identify the YPG members who would be expelled. So far only 400 YPG fighters have left the town, probably to give the impression that their expulsion is under way. The US side says that the Manbij road map could not be implemented properly because it was not tied to a strict calendar. Instead, it was linked to the steps to be taken by both sides before moving to the next stage. So far only 400 YPG fighters have left the town in a convoy of 30 pickups, probably to give the impression that their expulsion is under way. A new situation arises now, with President Donald Trump’s decision to pull all US soldiers out of Syria. Turkey was expecting to move into Manbij while the US forces were there in a controlled transition of power. But, since Trump’s abrupt announcement, it has become unclear what is going to happen after the US departure. The Manbij puzzle is going to be solved in a different way, according to US Senator Lindsey Graham. He said last week that UAE and Egyptian military officers have toured Manbij and its outskirts ahead of plans to deploy their forces in the region after the US withdrawal. Turkey may be unhappy at the deployment of UAE and Egyptian troops in Manbij, because its relations with both countries are far from satisfactory. But other countries — the US, Russia and the Syrian government — are, in turn, unhappy at Turkey’s military presence in Syria. The US position on this subject was expressed by Secretary of State Mike Pompeo when he said: “We will ensure Turks don’t slaughter Kurds.” Russia does not use such harsh language, but neither is it enthusiastic to see Turkey embroiled in a fight with the YPG because it does not want to harm its flourishing bilateral relations and its cooperation in several areas in Syria. The Syrian government may also be reluctant to see Turkish troops in Syria, fearing that they will not withdraw easily after the crisis. The Manbij disagreement could, of course, be solved by “burying the YPG terrorists in the trenches they dug,” but another way of solving it is for Turkey to cooperate with the UAE and Egypt in their orderly expulsion from the town.